If you are planning to go for a summer golf escapade in Branson, think first of the things that you should bring with you. To enjoy the best of your Branson golf experience this summer season, make sure to visit Thousand Hills Golf Resort, home to the most popular 18-hole golf course in Branson. Packing for your golf escapade can be sometimes unwieldy because of the many things that you need to gather. Many of these stuffs such as clubs, golf pullovers, pants and shorts are easy to remember, but there are countless things that you need to consider before finalizing your summer golf escapade. Golfers who don’t pack properly can’t travel comfortably and make life harder on themselves. Some of the things that you need for your golf escapade is to bring extra pair of golf shoes in case the first pair is damaged by water or mud. If your golf schedule allows you to enjoy a day off, make sure to bring walking/tennis shoes. If you wear street golf shoes to the airport, it can help solve both needs. This way you don’t need to pack a backup pair of golf shoes or that extra pair of walking shoes, either. But if you expect a dinner at a nice restaurant, be sure to bring a shoe that suits to the event. You also need to prepare for any weather because it can change in an instant, especially in a coastal or mountainous area. Even if the forecast indicates a fair weather, it’s still a good idea to bring rain gear, umbrella and rain gloves. Make your day even more safe under the heat of the sun by keeping sunscreen in your bag always. This is advisable if your eyes are super sensitive to bright sunlight. Many think that golf trips are a way to escape computer works and e-mails, but in reality, everybody needs to stay in touch with work and family back home, so you need to bring with you android phone. If you spend a lot of driving in going and coming to your golf trip from your hotel accommodation – a cell phone charger that plugs into a car lighter is a must. It would be even better if you can bring a car charger with a traditional plug on one end. That way you can charge anything you need – a phone, a computer, and even a camera battery. Don’t forget also to pack healthy snacks because it is usually not possible for golfers to eat healthy food during their golf trip, especially if they imbibe after hours. Grab a few granola bars or nutrition bars and place it in your golf bag. These healthy snacks are ideal for days when you get tired or if you sleep in late and miss breakfast. 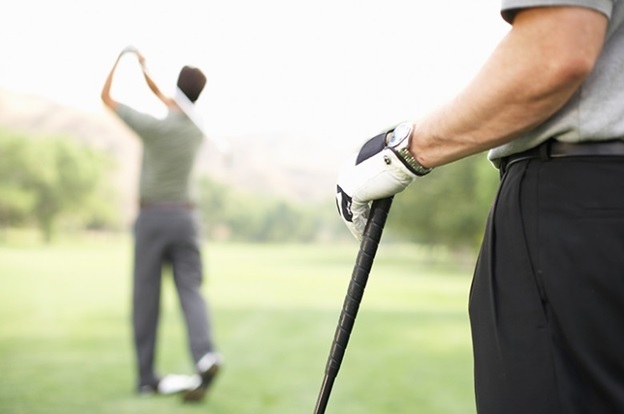 If you are planning to go for your summer golf escapade in Branson, you should not forget the things that you need to make your golf trip more enjoyable.